Healthy and international cuisine served in the Meating Point restaurant chain will be available to office workers and residents of Moje Miejsce in Warsaw’s Dolny Mokotów district. The format, which office connoisseurs in Kraków and Gdańsk have fallen in love with, is opening its second Warsaw location. The Meating Point is a chain of self-service restaurants. Its seasonal menu is created under the supervision of a nutritionist. With its theme weeks and the menu which is updated on the website on everyday basis, you can take care of the diversity of your meals. 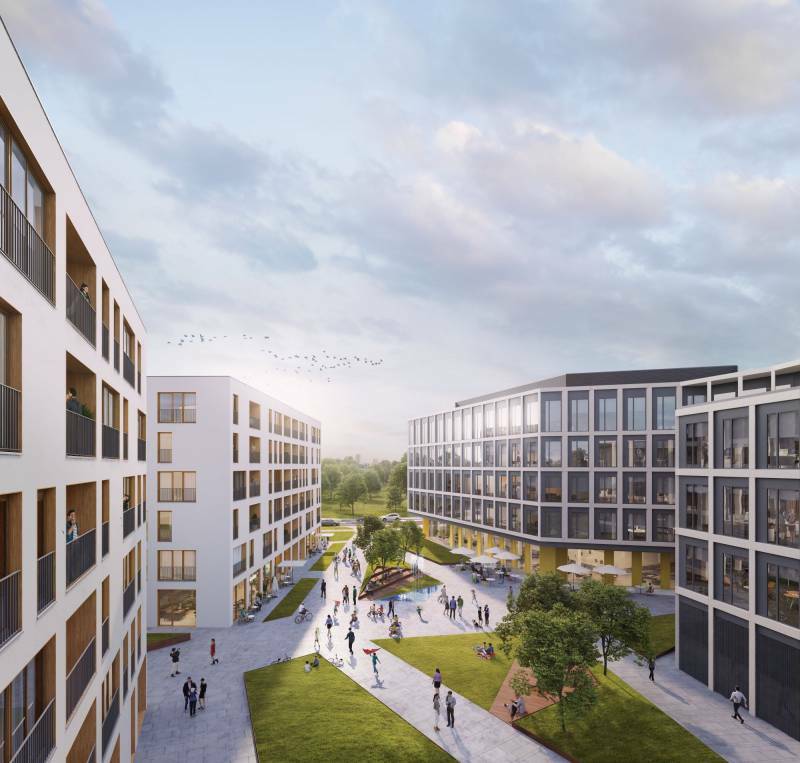 “We want Moje Miejsce to arouse positive associations among office workers who will execute their professional goals here, as well as future residents. That is why we want to provide them with services of the highest standard, which they will be happy to use every day. It is said that “the way to a man's heart is through his stomach”. Thus a good restaurant, serving healthy and varied meals is a place worth its weight in gold. It will give employees energy and allow them to break away from their tasks for a while in order to use their lunch time together with others. We are convinced that the Meating Point will take great care of the users' palates,” says Paweł Milcarz, a senior leasing manager at Echo Investment’s office department. Knight Frank is the exclusive agent representing the Meating Point and it is responsible for negotiating the lease agreement. “We are happy that we can support the development of such an interesting concept as the Meating Point. Moje Miejsce will be its second Warsaw location because the restaurant strategy perfectly complements Echo Investment’s approach to the issue of caring for the tenants' comfort and providing them with the highest quality of services. We have chosen Echo Investment as a partner because the company is ahead of the trends while Moje Miejsce has been chosen due to its location and the fact that it will be alive around the clock,” comments Kinga Zabłocka, a senior leasing manager at Knight Frank’s retail agency. “Cooperation with the Meating Point is perfectly in line with the plan involving the creation of meeting places in big cities. The Meating Point is distinguished by fantastic food, interesting interior design and a warm approach to the customer, who returns to the restaurant several times a week. All this creates a space where employees feel comfortable. A basic function such as a very good gastronomic offer distinguishes the building against other properties and it attracts the attention of future tenants,” she adds.